When I think Japan, I think video games. And especially, retro games! Who’s with me? Obviously, the Japanese love their pop culture and games are such a big part of it. 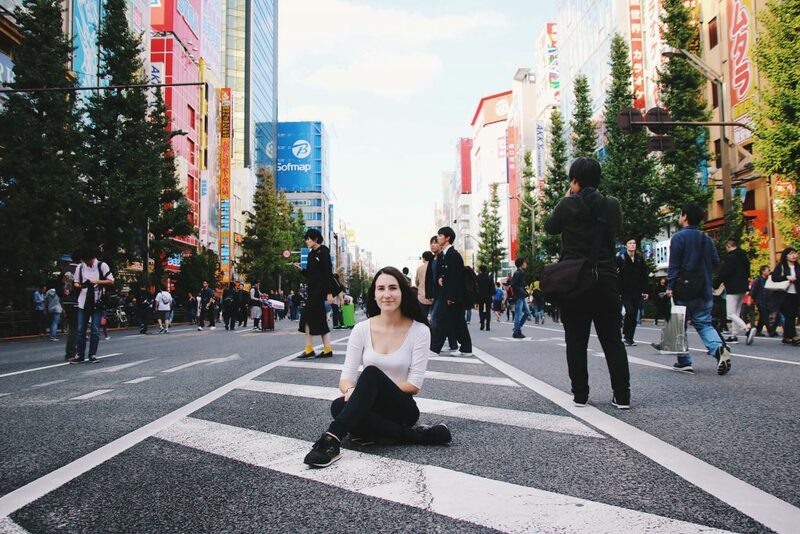 When I spent 16 days in Japan, I was loving the gaming vibes everywhere. It was so refreshing to see it being part of a culture, rather than it just being a hobby. Especially cause I’ve grown up loving video games, I had such a blast exploring Japan looking for some good retro games to take home with me! 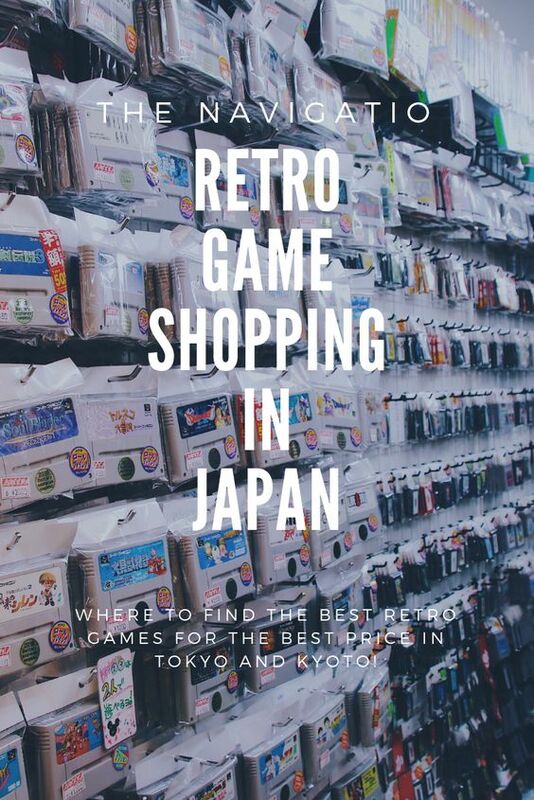 That’s why I’m sharing my tips for retro video game shopping in Japan! Most secondhand games and gaming consoles are still in amazing shape (honestly, some look like they have never been touched). I think it’s because in Japanese culture respect is so much more important than I’ve seen anywhere else. They respect their surroundings and belongings a lot more than we’re used to in Europe and America. 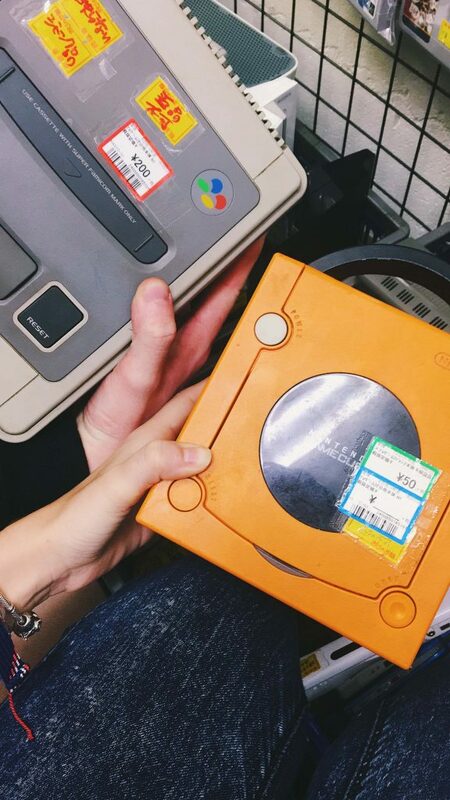 That’s one of the reasons for shopping for retro games is so much fun in Japan. The second reason is that Japan is overloaded with so many awesome (retro) games! 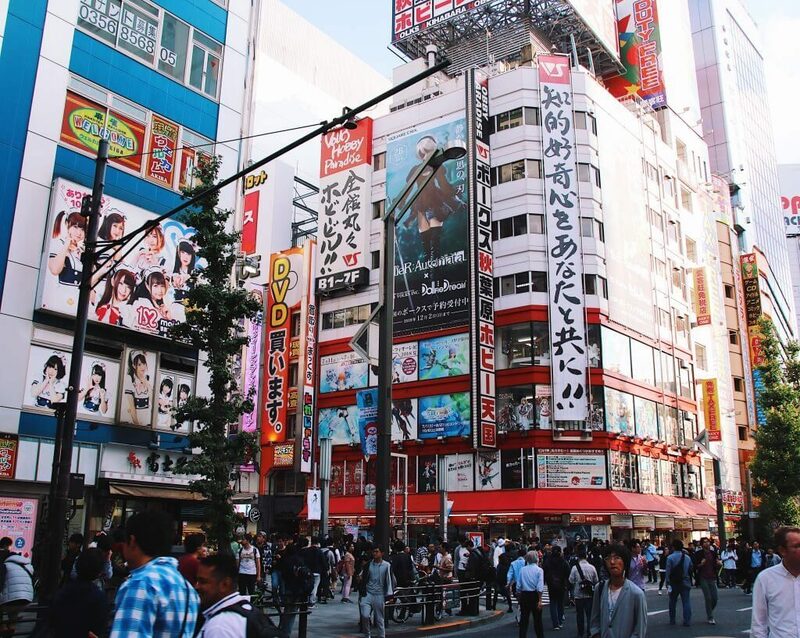 If you love games, anime, and electronics, Akihabara is THE place for you. Akihabara is also known as “Electric Town”, which kinda speaks for itself. There are hundreds (literally, hundreds!) of shops selling electronics, video games, and anime figures. How to get to Akihabara? You can easily reach Akihabara Station via various train lines: JR Yamanote Line, Tokyo Metro’s Hibiya Line, Keihin-Tohoku Line or the Sobu Line. The station is located right in the middle of Akihabara. 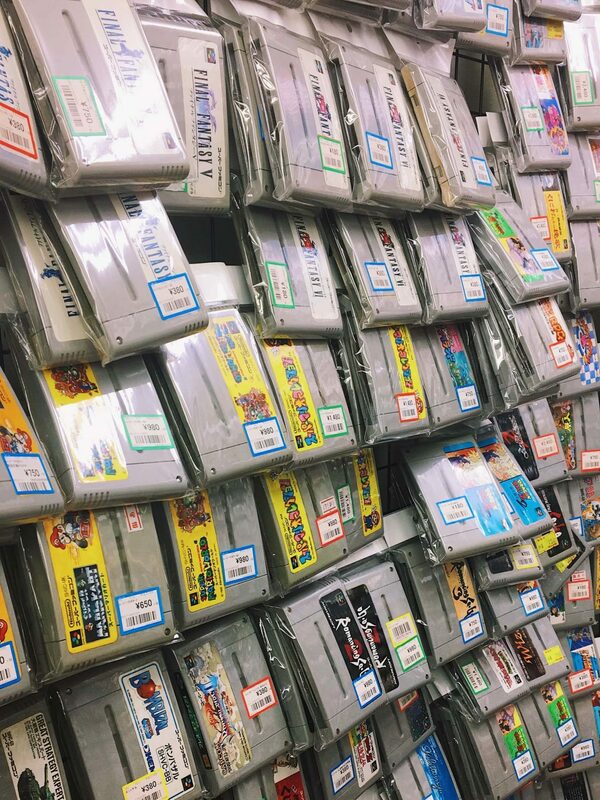 Let’s start the list with one of the best retro video game shops we visited in Japan: Retro Game Camp. 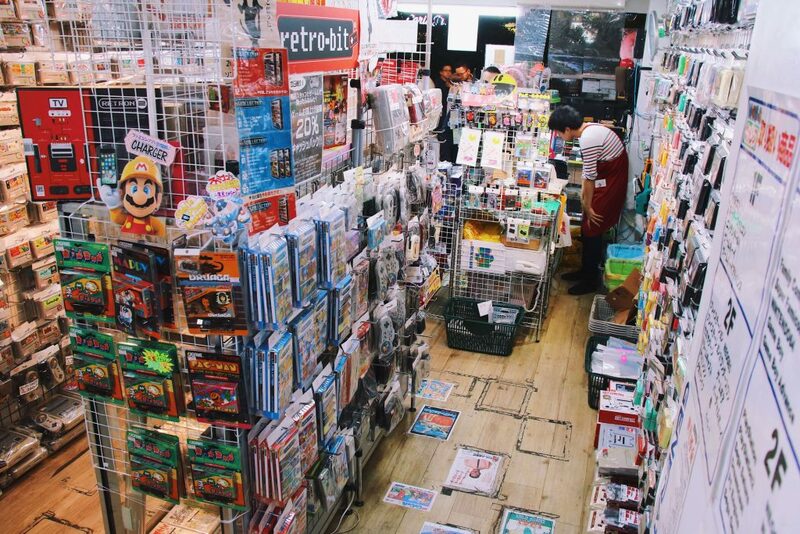 It’s located on the main shopping street in Akihabara and is filled with the best retro games and gaming consols. It was THE dream! Not only did they have an amazing selection of games, but they were also looked after really well. The batteries of all games were changed and renewed, making sure they work perfectly when you buy them. I even ended up buying a secondhand Nintendo GBA and a handful of Pokemon and Mario games. A childhood dream come true, and it wasn’t even that expensive! Tons of “less” popular games for 10 yen each – that’s like 7 pennies! Located right next to Retro Game Camp (and also owned by the same company) you can find The Dungeon. It’s basically an extension of Retro Game Camp and we could not recommend it more! Absolutely loved shopping here. They had such a great collection of almost any game you could be looking for. Because this shop is owned by the same people as Retro Game Camp, all prices are the same – so you don’t have to go back and forth comparing prices between the two shops. All batteries are also replaced here, to make sure you can play right away. 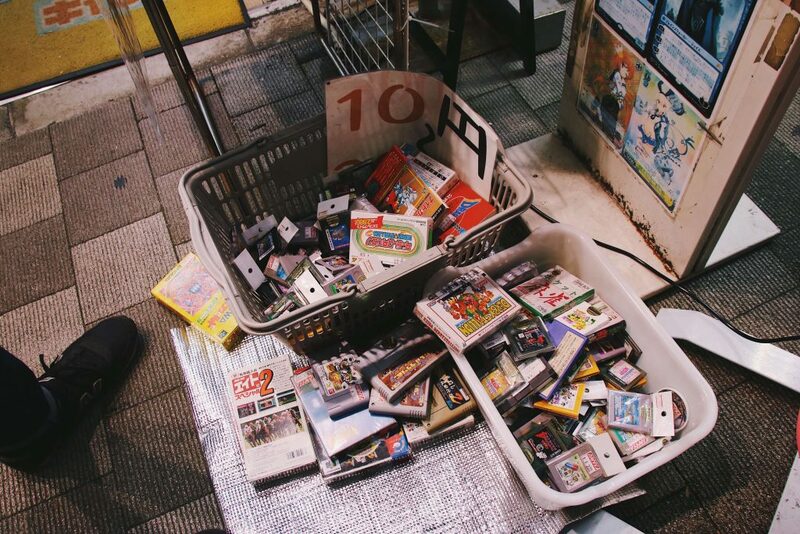 Super Potato is probably one of the most well-known retro gaming shops in Japan. It’s actually a chain of shops that you can find all over Japan. 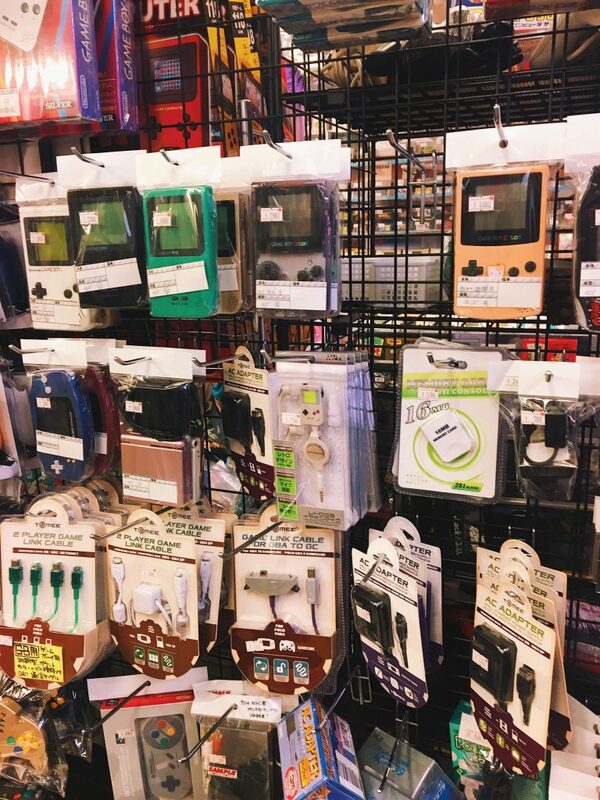 This chain is a great shop to have a look at all these amazing retro video games, but it is very overpriced. It definitely knows that it’s a popular store for foreigners, and it kinda feels like they take advantage of it in pricing the products way more expensive than other shops. It’s really fun to look around Super Potato, but we didn’t buy anything there because we found similar games cheaper elsewhere. 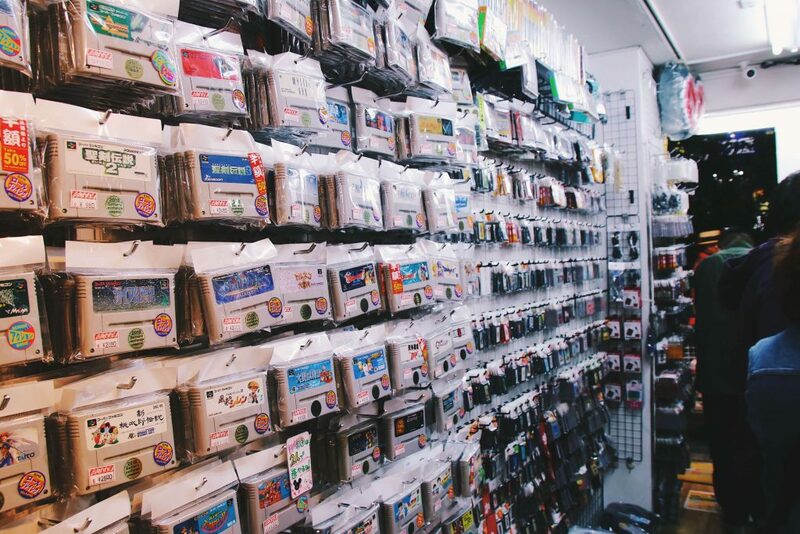 Akihabara also has a ton of gaming card shops! 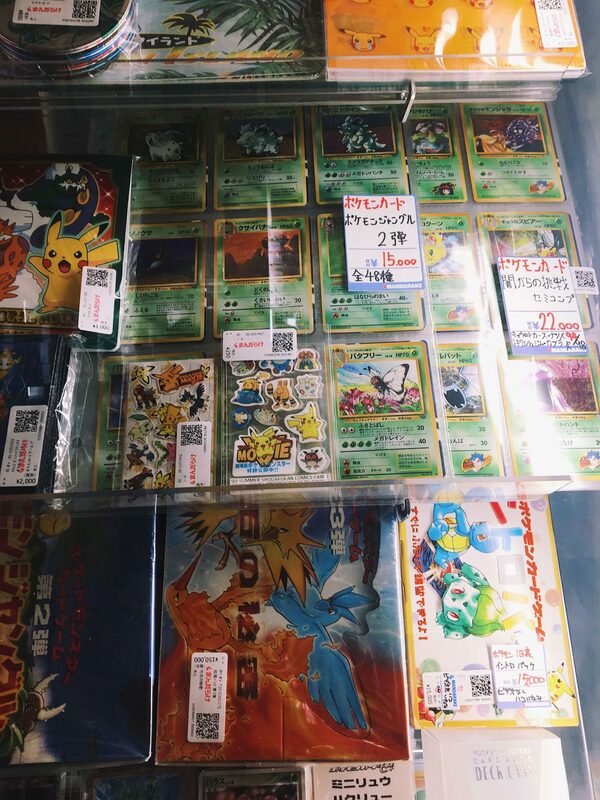 I myself, the Pokemon lover I am, had a quick look through tons of Pokemon Card shops. I didn’t buy anything, but it was awesome to skim through folders and folders of the cards I collected as a kid – so many memories! 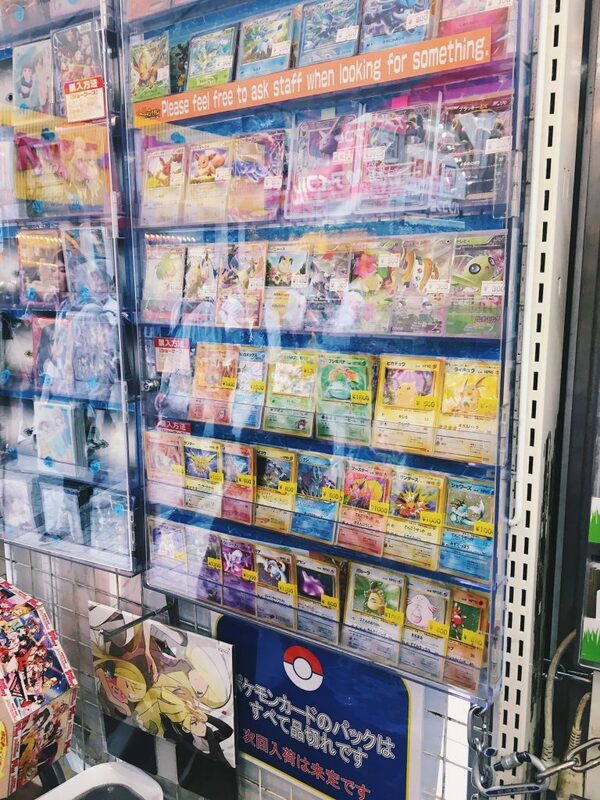 There are countless shops with different types of card games – like MTG etc. I’m not really big on it (yet…. ), but it was nice! Even though we weren’t in Kyoto for very long, and we had a busy schedule, we did find an awesome retro gaming shop right next to our hotel which is worth mentioning for those who are doing a similar trip! 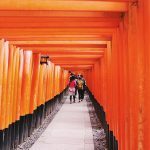 Whilst in Kyoto, we stayed a bit further from the main centre because we wanted to stay near Fushimi Inari Taisha. Because of this, we found a really cheap and really awesome retro gaming shop – right outside our hotel! It is called Ojamakan and because it’s a bit more remote, the prices are absolutely amazing. I got a boxed Pokemon game for 600 yen (which is like 4-5 pounds!). My boyfriend got a few games for a pound each, some even boxed and in really good condition. They had a massive selection, too. Not only older game, but they sold brand new games for the Nintendo Switch, XBOX, and PS4. The batteries of the second-hand games weren’t changed, like at Retro Game Camp – but for the prices, these guys were selling at, it didn’t really matter! Besides, all the games we bought worked perfectly fine! You can’t exactly buy retro video games here, but for all video game lovers out there: The Nintendo HQ is based in Kyoto. It’s basically just the office building where the magic happens. Please keep in mind that this is where people work, it’s not very touristy, so don’t hang around for hours. I’m not really a gamer, the only game I play is sims! But this post was really interesting especially as Tokyo is somewhere I would love to go to. This is my heaven! I love the respect for gaming that Japan has. I’d definitely get my hands on a GameCube as I miss my old one. 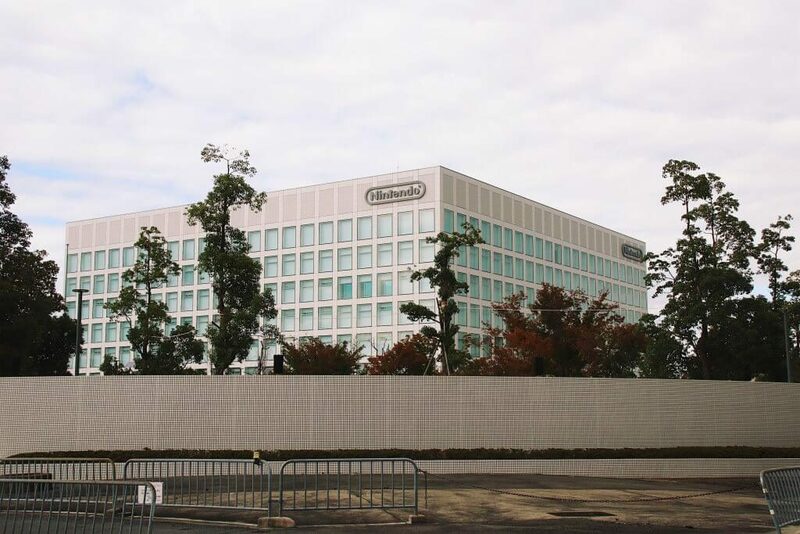 And I’d be snapping a photo of the Nintendo HQ! So much nostalgia in this place! I’d love to look around this place just for that! I don’t have my old game systems anymore but I kept my Pokemon cards! This is amazing! I definitely need to save this for a future trip. Oh my goodness! My husband has quite a collection of retro games he would be obsessed!! 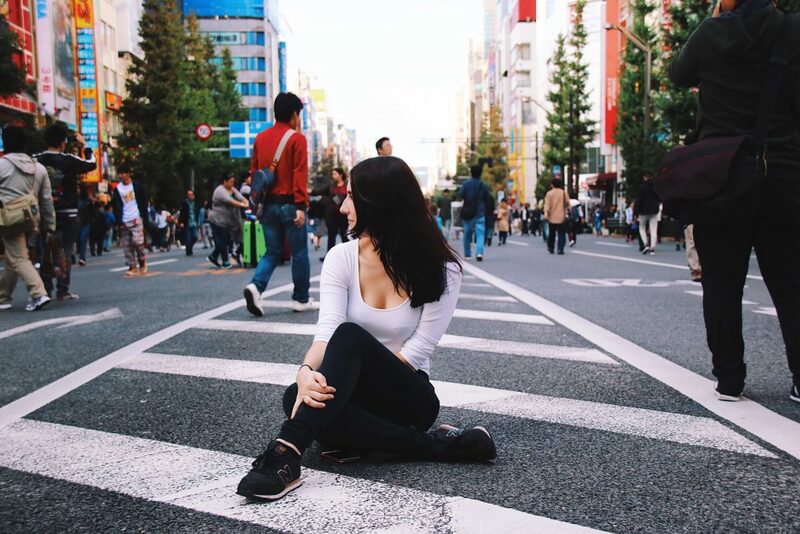 For some reason when we think of Japan we don’t instantly think of gaming, so this is a really good reason to get it on our bucket list.